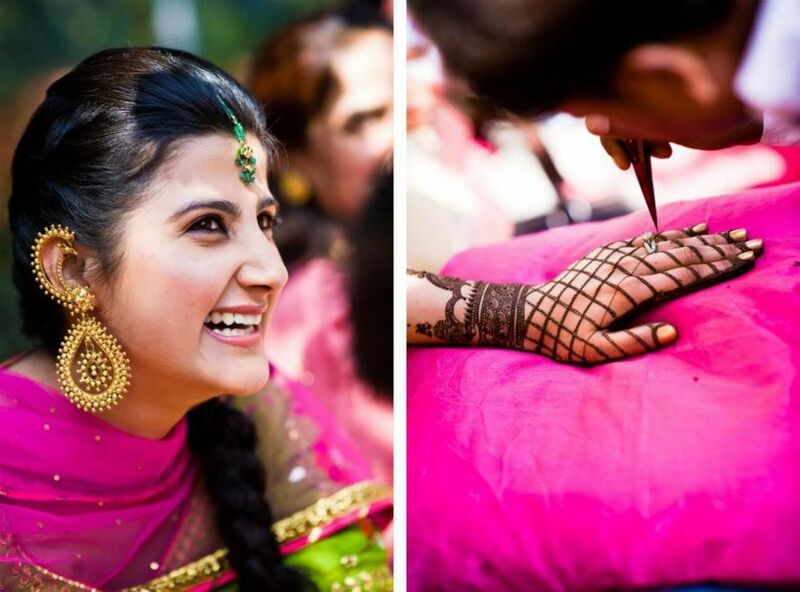 A Delhi Wedding that screams fun : Sana & Karan ! 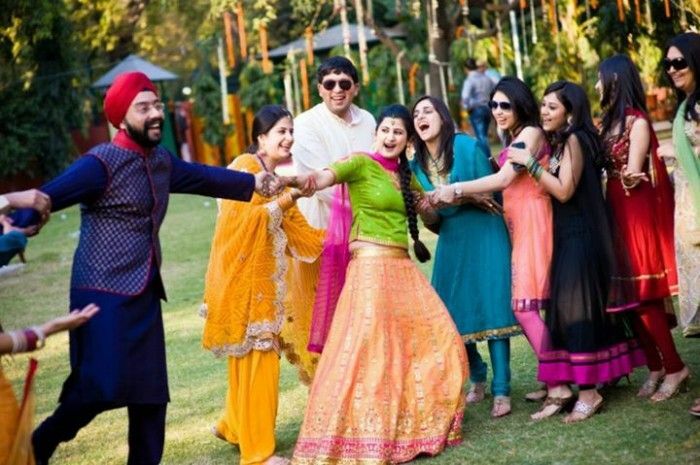 With a couple as fun as Sana & Karan, its hard to imagine a wedding that is anything but a laugh riot! 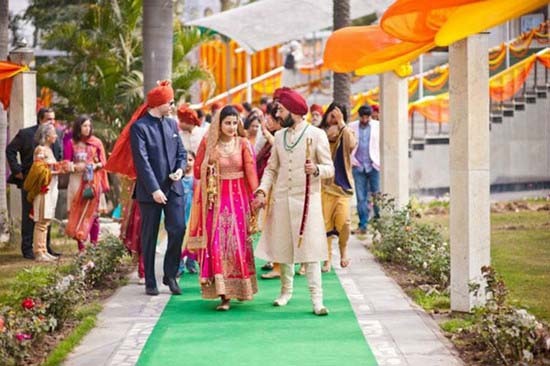 Add to the mix candid photographer Sharik Verma (whom we absolutely love by the way), and you have got yourself a wedding with so much colour, character and life that it feels like you are right there dancing in that baraat , with Punjabi songs blaring in the background!!! 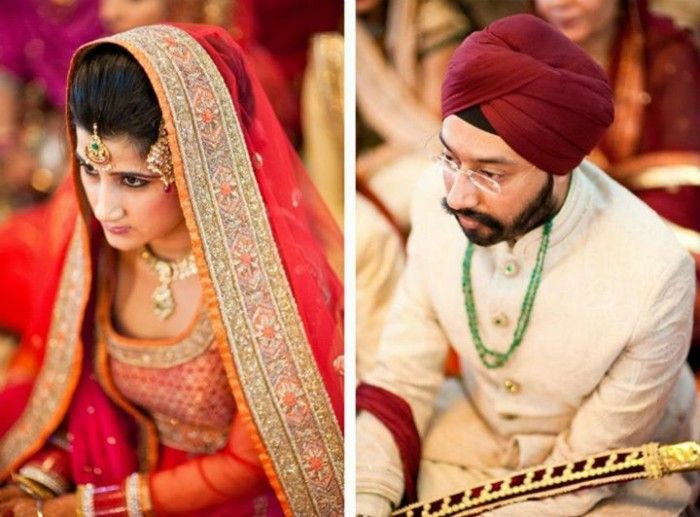 A bride who confesses is not a girly-girl, but enjoyed her wedding to the core. 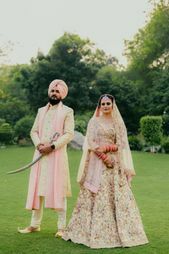 I spoke to her regarding their love story, her outfits (love the orange Sabyasachi!) and more !!! You guys look so cute together. So how did you guys meet? We knew each other from school but met again at a wedding - his friend, Geetika was getting married to my maama, Ashish . It was (not kidding!) love at first sight for Karan but I took a year to come around. :) We started dating in 2007 and before we moved back from London, he proposed to me in Sept 2010 for marriage. Tell us about the events? You seem to have had a blast at all !!! 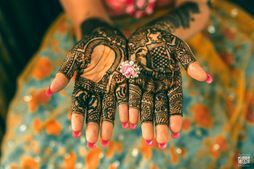 We had a mehendi, cocktail, wedding and reception. 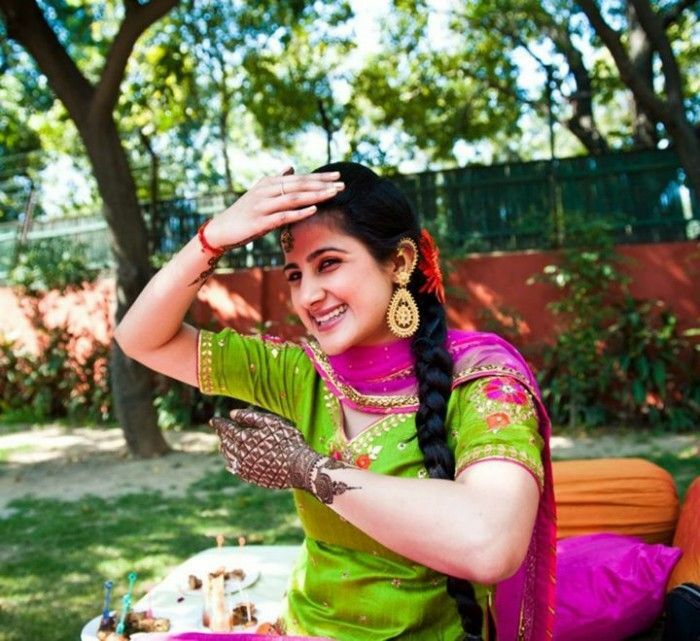 I enjoyed my afternoon mehendi the most.. It was a chilled out evening in the winter sun with champagne , cocktails and excellent food. Since there were fewer people at this event as compared to others, it was an opportunity for me to enjoy myself with my friends and cousins. 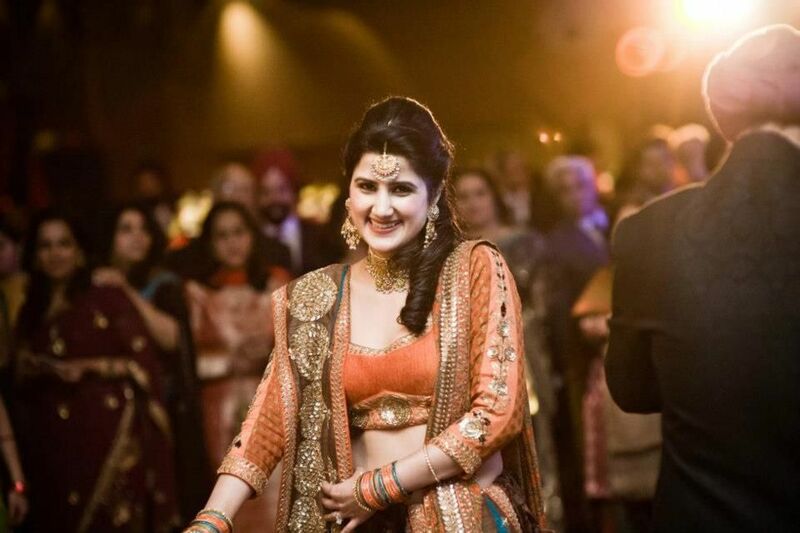 For her cocktail, Sana wore a Sabyasachi lehenga in unusal colors. It was a brown lehenga with an orange-rust blouse and two dupattas- one orange and one blue ! I love the earth tones on the lehenga !!! That door man is totally intimidating ! I wouldnt be gate crashing this wedding with him out there!!!! You made such a pretty bride ! Did you always know what you wanted to wear for the wedding? Nooo ! I'm not a very girly girl so had no idea or dreams about my wedding outfits. 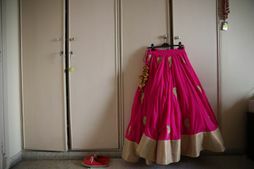 I wore lehengas for all my functions except the Gurudwara wedding which was an ankle length red and fuschia anarkali. My favourite was probably my cocktail outfit. It was a Sabyasachi lehenga in very unusual colours - Brown skirt, rust blouse and 2 chunnis - one blue and one orange. 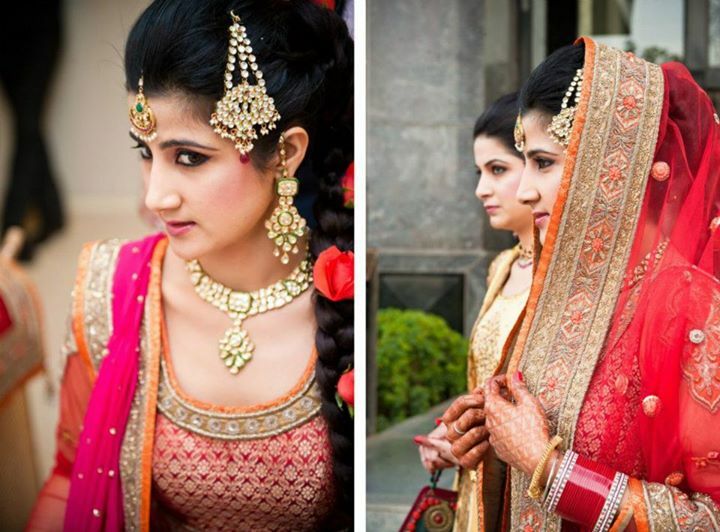 I designed my wedding outfit on my own and had it made by a designer called Aditi in Delhi. 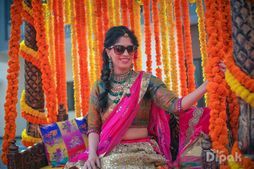 My mehendi outfit was by Swati Ubroi, a designer in Jaipur and my Reception lehenga was by Jaya Rathore, a Calcutta based designer. 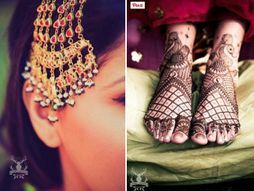 The colours of both my wedding and mehendi outfit, how I wanted it to look, etc were picked by me. 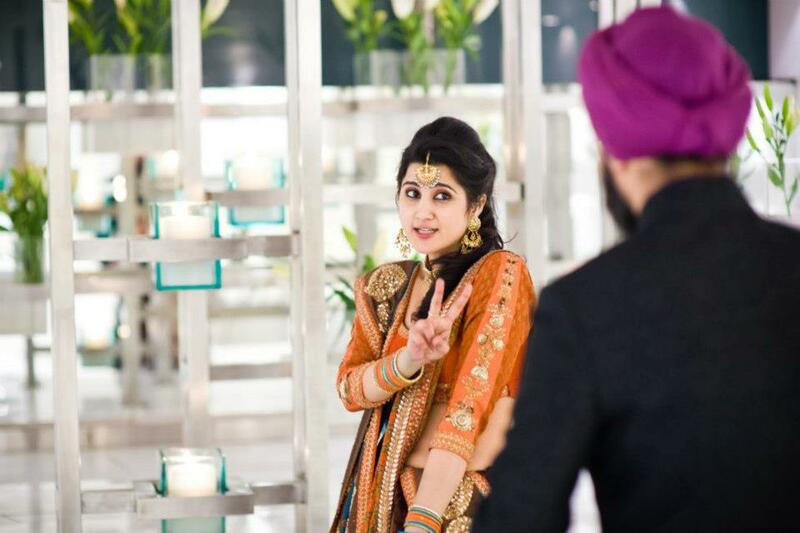 Any wedding vendor you would want to review :Sharik was an extremely fun photographer to work with. He made it an effort to know who our close family and friends were so he could capture the right people at the wedding functions. Even post the functions, he was very pro-active in sending us the pictures and helping us select them. We were very happy with his work. 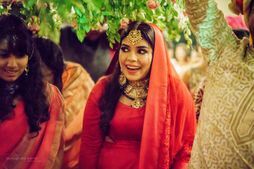 Chic Spring Wedding in Delhi With A Minimalistic Bride! 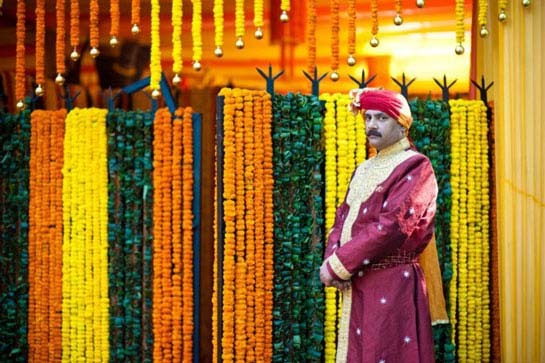 A Colorful wedding in Delhi with stunning Photographs !